TranceAttack: Hey Roger, where do we find you today and what are you up to? Roger: At the moment I’m in the studio working on a lot of things but also my crazy summer tour is kicking off this weekend as well. TranceAttack: Some of the rare fixed points in the trance genre has arrived this year with the 6th installment of your yearly Magic Island Mix Compilation! Tell us please, what can the listener expect? Roger: Haha, thanks a lot for that kind of album introduction. This album is again a perfect overview and reflects the sound of my radio show, with a wide range of sound from deep house to balearic, from progressive to melodic and uplifting trance. 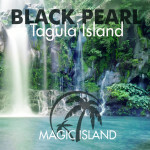 TranceAttack: If you see the evolution from Vol.1 to this years Vol.6, how did the Magic Island sound change over the last years? Roger: As I said, the album reflects the sound of my radio show and also where I am as a DJ, not just as a producer. When I listen back to the previous volumes it is very interesting for myself to remember those times, vol 1-3 has been very balearic, vol 4 very progressive house influenced while vol 5 went back to be more melodic and prog trance. This volume has the widest and maybe wildest range of sound starting from very chilled deep house on 120 bpm and ending very banging 138 uplifting trance. I think there is no album out there like this. TranceAttack: How did the work on the compilation change through the last years? Roger: Actually there is no change in the way of working, following the same formula. I’m running a weekly radio show and record label under the same name, so I’m in touch with a lot of music every week, so there are tracks standing out for me and a lot of favorite tracks are getting signed to my label, those tunes are building the starting point when I’m working on a new mix album, then I’m sending a mail out to all my magic island artists telling them about a forthcoming album and a lot of my artists understand the sound and working on some exclusive tracks for it. I think this is also something special about this mix album series, a lot of tracks are especially made for this annual journey and sometimes I even give some of the producers some ideas for directions. TranceAttack: In a time where downloads and streaming portals dominate the music distribution, you decided to keep also the classical way with a physical copy. In my personal opinion I love it to hold an album in my hand, going through the booklet while listening to the album. What was your reason to keep this charming “oldschool” way? Of course the main bizz is digital but I think it’s still nice to have a limited or small amount of albums for those people who wanna have a real CD in their hands. 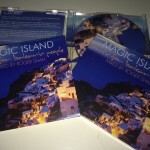 TranceAttack: Next to the upcoming release of Magic Island Vol. 6 you released also this year a “Global Experience” together with Brian Laruso featuring very first releases next to fresh tunes. Can you describe the work Brian on this album? 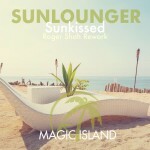 Roger: Brian is a longtime friend of mine and we created global experience back in 2005 and did a track for Tiesto’s In search of sunrise album, from that time we kept on doing a track now and then, just as a cool side project with a cool and more underground sound. So we just felt earlier this year that it would be about time to put all those tracks together and release it as an album. 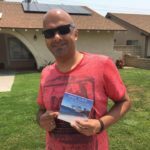 TranceAttack: Are there also ideas for a Roger Shah album? Roger: Oh hell yes, get ready for the biggest album in my career, already about 1 year in the making. It will be a wide range of sound again covering all the genres I love to play in my radio show. It will be also a full collaboration album with amazing artists from different musical genres and from around the world and also a collection of some of the best and recognize able voices ever, all on one album. Can’t tell too much but as you can see I’m super excited and proud about it for myself. 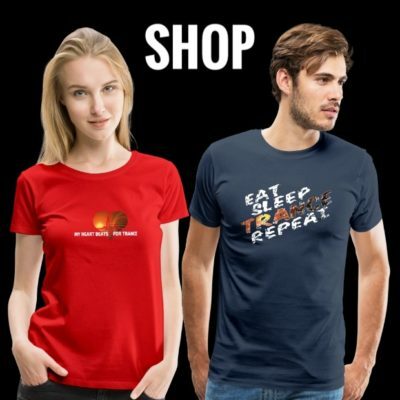 TranceAttack: Last year was the first time after years where you reduced your travelling time with the goal to concentrate on new musical projects and spend more time with your family and friends. Did you enjoy this time? Roger: Yes I did, especially enjoying the world cup at home with friends while being on the road for years, has been amazing. 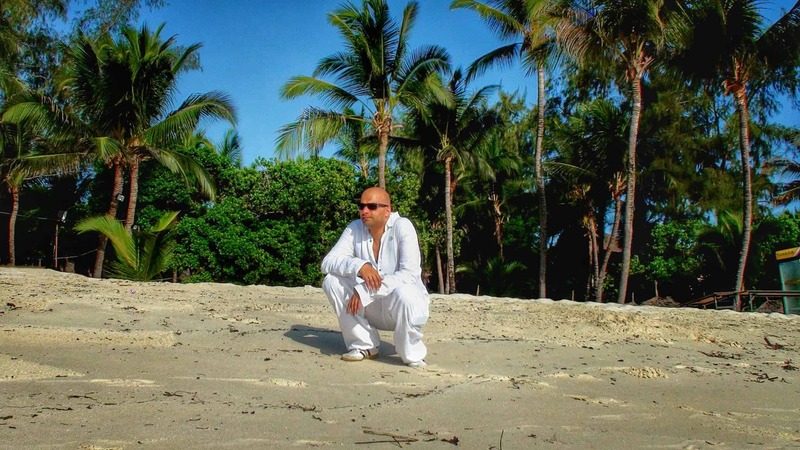 I really needed that time off but also worked on a lot of different projects like my artist album which I just mentioned, a lot of tracks have been a different level of production, even recorded huge choirs etc for some tracks, a lot of real instruments etc. I also used that time of to restructure some bizz things and was building a new team and also left Armada after 8 years and signed with Black Hole, my new musical home. TranceAttack: Can you tell us something about new music projects? Roger: Besides the mentioned stuff, a lot of people also don’t know that doing dance music is just 33,3% of what I’m doing musicaly. I also work on a lot of orchestral stuff for some companies in Hollywood, also planning to release a full orchestral album to showcase that side of me to the world as well and I also just finished a full yoga/meditation album which is for a totally different but interesting market as well. TranceAttack: During the last months you released a collab together with Paul van Dyk and played alongside with him at the Vandit Winter Night. You will also be part at his “We Are One 2015” Festival in July. Are there any additional plans together with the Vandit Crew for the next months? Roger: I had a couple of more show with him already. We also played a huge show in Jakarta together as a double headline and I also opened for him as a surprise guest during his WMC show at Space Miami which has been fun to look into a lot of peoples faces like wtf is that Roger? We are also playing the amazing Luminosity beach festival in Amsterdam together and the We Are One. 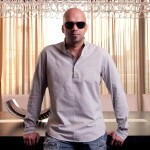 There is another show planned for August, besides that I don’t know because due to the release of the Magic Island album and festival season i have a lot of shows for myself and also my friends from Aly & Fila invited me to play 3 of their amazing Future Sound Of Egypt shows together as well. TranceAttack: Many collabs in the actual time are working with sending files back and forth between the artists. A classical time together in the studio has become really rare. How was your collab together together with Paul? Roger: It was the same way, for the fact every artist is always busy with things and touring and most of the time at a different part of the world, actually to send ideas and parts back n forth is very convinient and I’m happy that we are living in that age and era right now. Just for my artist album and when I was working with singers I had a couple of them in my studio but also flew around the world to record with them. TranceAttack: Is there an artist left you would love to work together in the studio? Roger: I already worked with so many amazing artists and talents so I don’t have a wish list and will just see what’s gonna be next for me but I’m very excited about the next 12 months with having a lot of music out again. The break has been important for me, especially during all that EDM noise time, but now I’m back on full force and with a major league of amazing collaborations. TranceAttack: Which side do you prefer? Behind the decks in the clubs or behind your equipment in the studio? Roger: I love both the same way and nothing would work without the other. Due to my music production I got the chance to play around the world, to play infront of my fans gives me new energy and new inspirations for new songs. TranceAttack: What is your opinion on the future of the EDM? Roger: My opinion doesn’t count since the taste makers are others at the moment, but the good thing about this industry is that it is turning in circles and every big bubble like the current EDM noise can just go as big as the bubble is to saturated and will burst. I think the next big sound is deep house which actually is very close to my original balearic sound with nice guitars and great song writing, so I’ll gonna see how that would get some of my balearic songs bigger than just being in this small niche market, but then I beleive trance will strike back big time, just thinking about all those poor kids who just discovered electronic dance music, who are going to all those EDM festivals, they enjoy that music without having discovered the beauty and emotion of trance music. 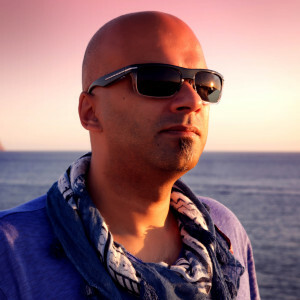 Even I never really considered myself as a pure trance artist, since I always played a wide range of sound and my so called balearic sound is a kind of genre as it’s own but I play more uplifting trance in my current shows than ever before but same time I also enjoy to play some very cool and deep sessions. TranceAttack: What would surprise our readers? Tell us something uncommon about you? Roger: I’m playing Tennis and still playing in my local team in a nice competative leaggue and also I can be found at some local tournaments, even made it to some finals and even won one last year. TranceAttack: Do you have a message for your fans? Roger: Please checkout my socials or website to keep yourself updated about all my activities, touring an dmusic releases or my weekly radio show since there is so much going on at the moment. I’m also looking forward to see you guys at my forthcoming shows, if you read this and get the chance to see me somewhere out there, please walk over to me after my shows I always enjoy talking with my fans and spending time together, I never just leave after a show and also always do meet n greet sessions as well. 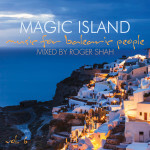 Tagged Enter The Arena, Magic Island, Magic Island Records, Roger Shah, Sunlounger.